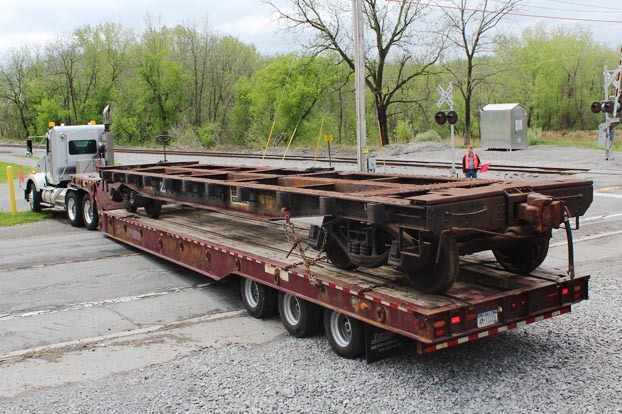 Lowville & Beaver River flatcar #23 was originally built for the U.S. Army in 1944 with the serial number 3509072. It served for years at the Watervliet Arsenal before it was purchased by the L&BR. The car was retained for company service use around the railroad’s headquarters in Croghan, New York, and was later purchased by a private individual. 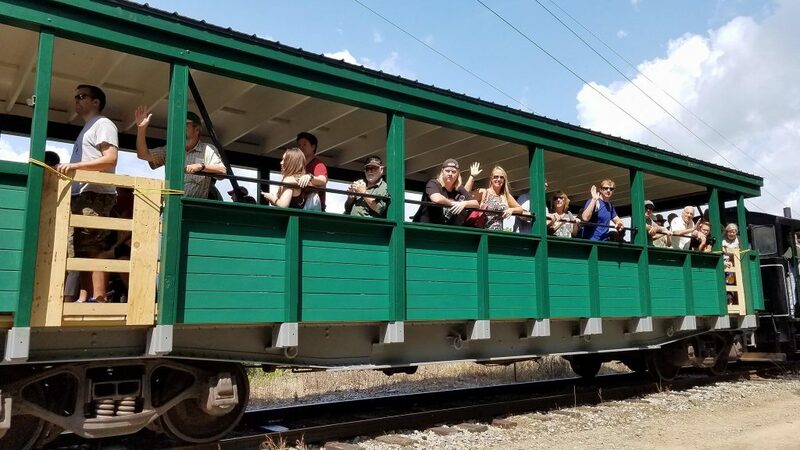 Looking to expand our passenger carrying capacity on our demonstration railroad, R&GVRRM purchased the flatcar at the end of 2013 and had it trucked to Industry in May 2014. 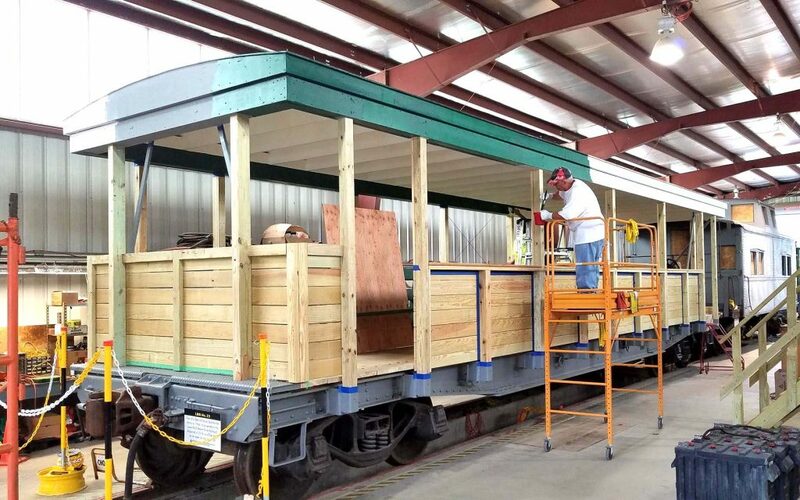 Our plans for the car include replacing the deck, adding sides, benches, and a roof to create an open-air rider car for our regular Sunday trains. This new open-air rider car entered service in August 2017.